NASA's Dawn spacecraft has revealed many landslides on Ceres, which researchers interpret to have been shaped by a significant amount of water ice. A 2017 study in the journal Nature Geoscience classifies three types of these debris flows. 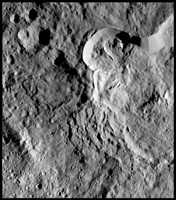 Figure 1 (left in the montage) shows an example of "Type I" flow features, which are relatively round and large, have thick "toes" at their ends. They look similar to rock glaciers and icy landslides on Earth. Type I landslides are mostly found at high latitudes, which is also where the most ice is thought to reside near Ceres' surface. Figure 2 (center) shows an example of a "Type II" flow feature. 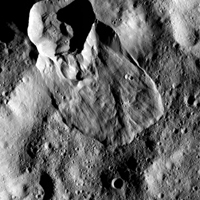 Type II features are often thinner and longer than Type I, and are the most common type of landslide on Ceres. They appear more like the avalanches seen on Earth. 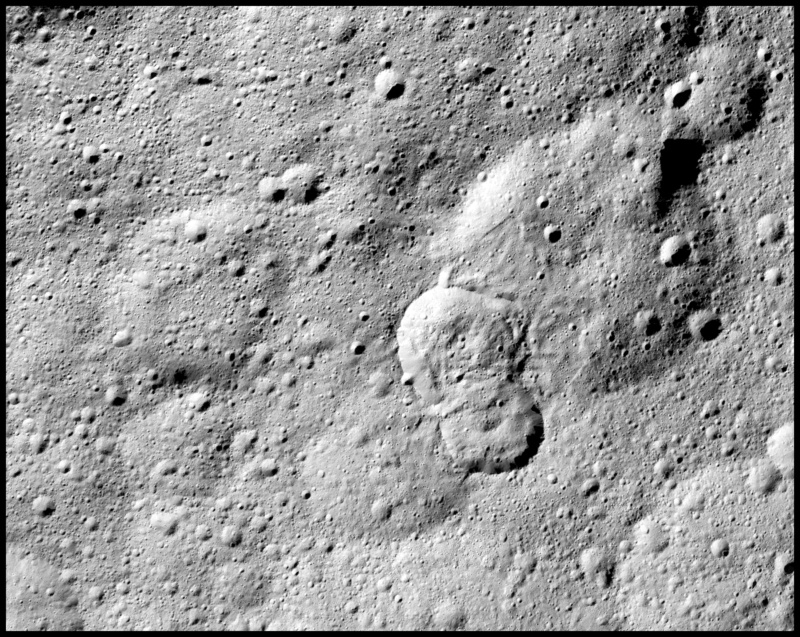 Figure 3 (right) shows an example of a "Type III" flow feature at Datan Crater. 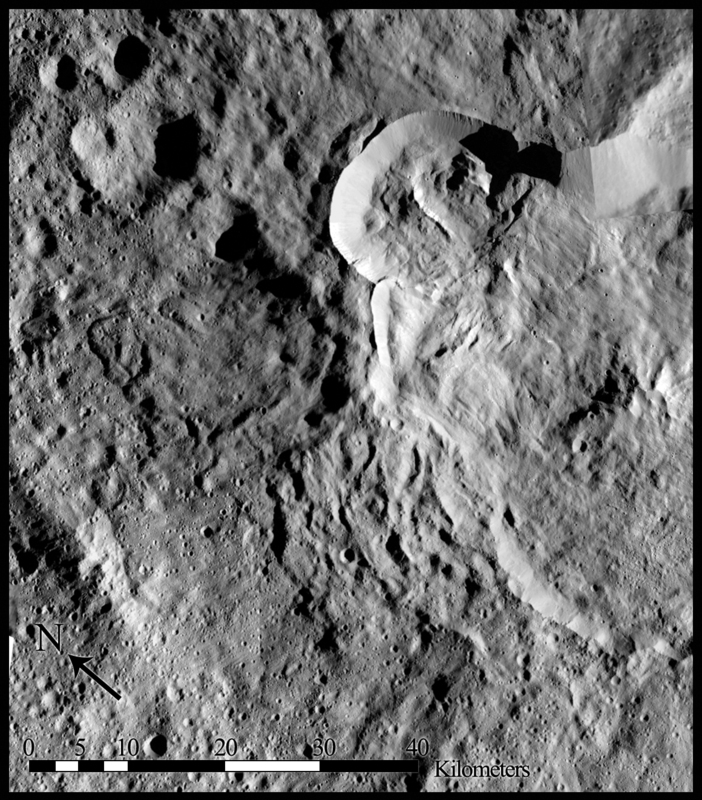 The study authors interpret Ceres' Type III landslides to involve melted ice, although scientists do not know if they actually contain liquid water. The authors think Type III landslides are related to impact craters, and may have formed during impact events into the ice on Ceres. 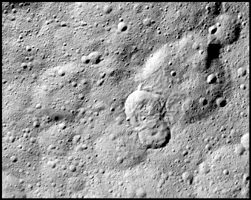 The features resemble fluid material ejected from craters in the icy regions of Mars and Jupiter's moon Ganymede.